DON’T MISS THIS WONDERFUL HOME IN THE QUAINT TOWN OF SEAGRAVE, JUST MINUTES NORTH OF THE HISTORIC TOWN OF PORT PERRY!! 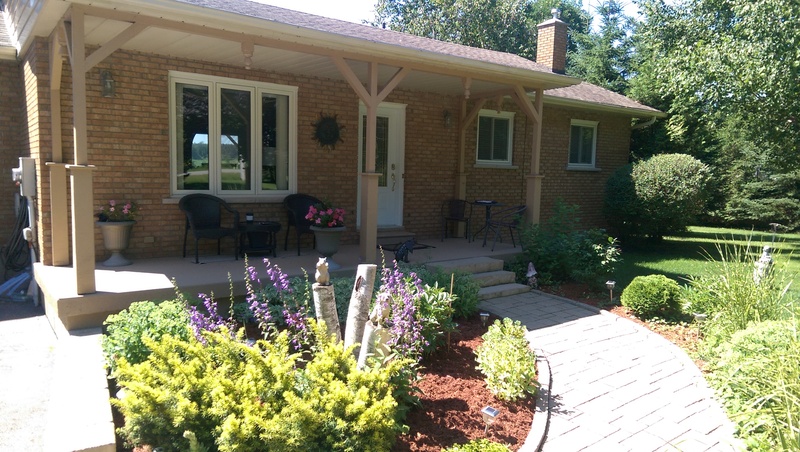 Fantastic 3 + 1 Bedroom and 2 Bathroom Bungalow In A Beautiful Country Setting On 1.03 Acres Just North Of Port Perry. This Home Has 3 Cozy Bedrooms + a 4 Piece Bath On Main Level. Finished Basement Has Large Open Concept Space + 1 Bedroom, A Natural Gas Fireplace, 3 Piece Bath With Heated Floors. The Huge South Facing Back Yard has so much potential and provides a great place for children to play. 2 Fantastic Garden Sheds (1 With Power And An Attic). 2 Car Garage Has Direct Access From Main Level & The Basement, Paved Driveway – Parking For 8 Cars. Recently Landscaped.